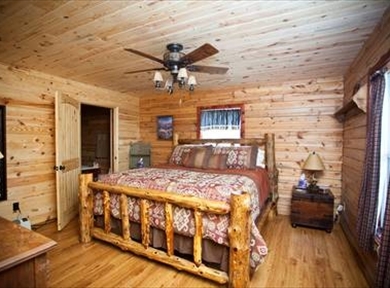 Our newest addition to the DragonFly Resort is our gorgeous 1,400 sq. 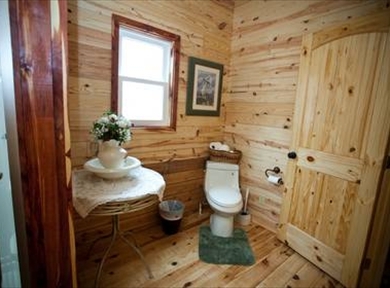 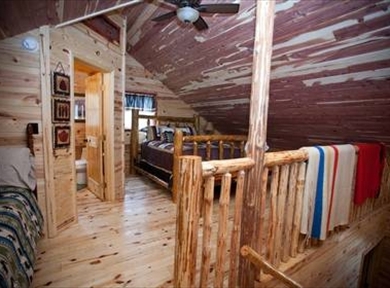 foot Western style log cabin, "The KatyDid". 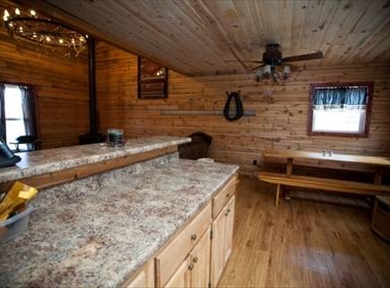 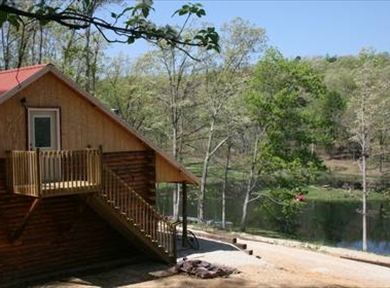 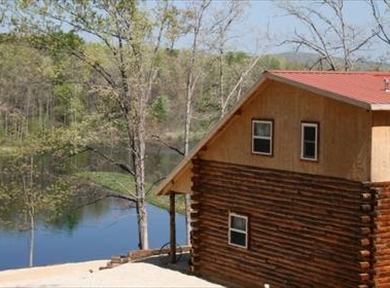 With a fabulous view of Lollie's lake and LolliPop Island, the KatyDid is the perfect log cabin retreat. 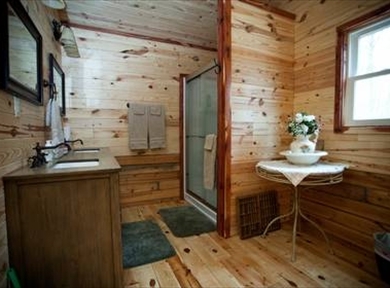 This cabin sits just down the lane from Vincent's Lodge and can be rented by one couple for that very special, secluded, romantic get-a-way, or by groups or families of 10 -12. 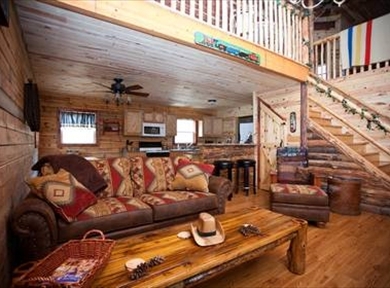 The KatyDid's premier focal point is a cathedral, cedar lined ceiling, and all wood interior decorated in a quintessential Western style. 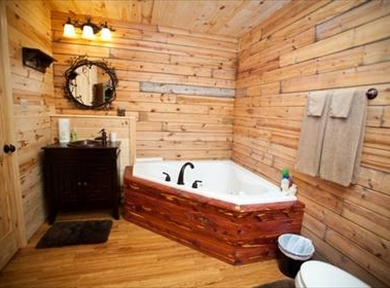 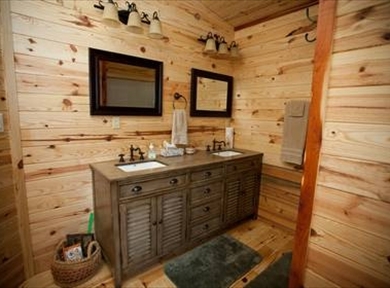 The private master suite features a king size western style cedar post bed with adjoining jacuzzi tub bath. 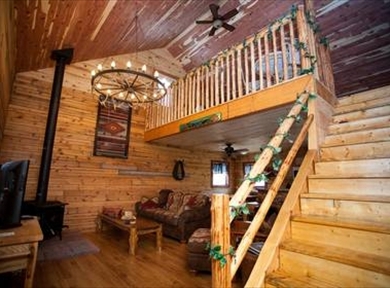 The open living room and dining area are lit by a fabulous hand made surrey wheel, antler chandelier made by the contractors as a Christmas present for Linda and is the perfect piece to set the ambiance of our little Mt. 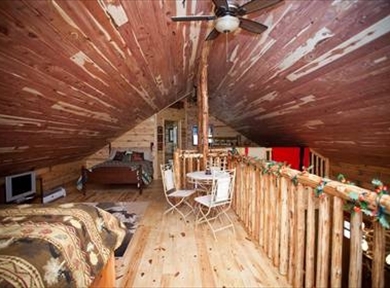 chalet. 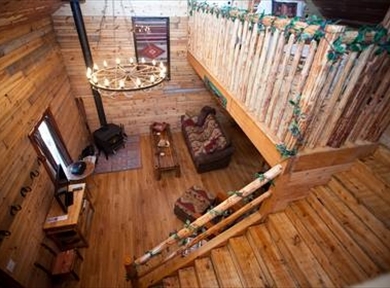 The beautiful loft with 2 full beds and one queen western style cedar post bed, and shower bath with double vanity is the spot for the kids or extra friends or family. 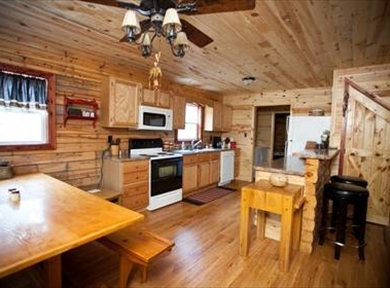 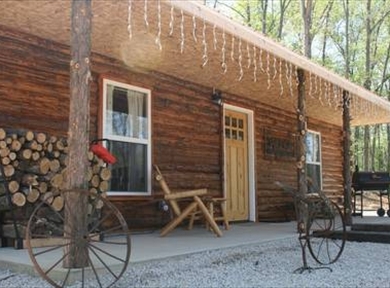 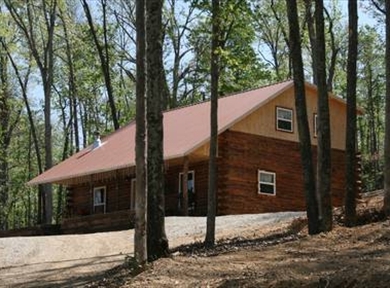 For the convenience of our guest this cabin includes a fully equipped kitchen with dishwasher and ice-maker, 2 baths, laundry, covered porch and BBQ. 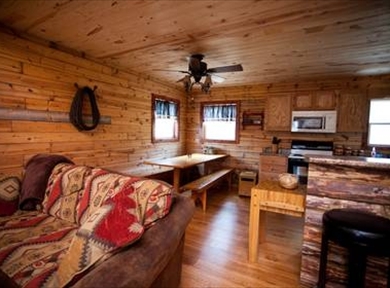 Once you stay in the KatyDid you will find it hard to want stay anywhere else!